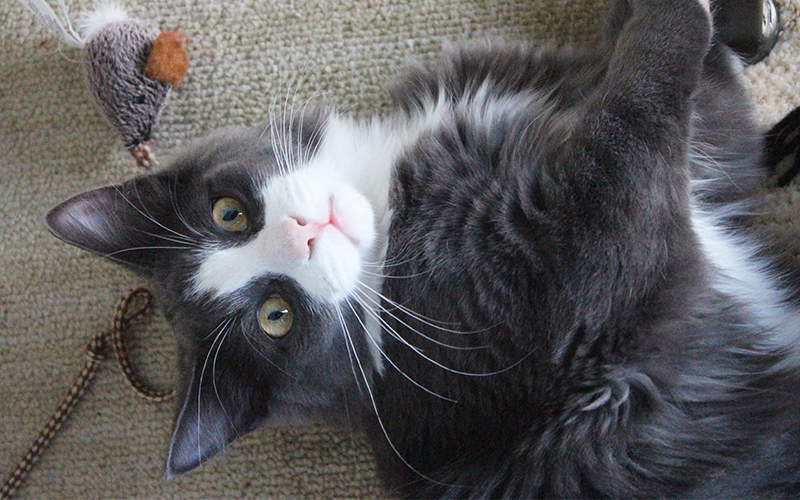 Welcome to our complete guide to interactive cat toys. Looking at the best cat activity toys on the market and helping you to pick the best one for your kitty. Cats are just tiny people with fur – every cat lover knows this, and most cat owners agree wholeheartedly. But even more, if you consider your cat a bona fide, fully credentialed member of your family, you are in very good company indeed. Most other cat owners around the world would heartily agree with you! As such, you want your kitty to have the best of everything. The best food and treats, the best comfy bed, the best interactive cat toys, the best and healthiest life any cat could ever have. But here, it might surprise you to learn that interactive cat toys are a more important part of giving your cat that life than you may have thought! Why are cat interactive toys so critical to your cat’s health and wellbeing? And which interactive toys for cats will deliver the most benefits in terms of fitness and fun? But sometimes, our love for our feline furballs translates into just a bit too much pampering….and a few too many treats. Hey, we’ve all done it – you come home late from work and your cat is just so hungry….so why not spoon out a little bit extra, right? It is totally okay – to be expected – that you might slip your fur baby an extra treat or two from time to time. But vets say that this is turning into more overweight cats than healthy weight cats. Whoops! The issue of packing on the pounds is even more critical for indoor cats, who may in time get so used to “the art of the snooze” they forget exercise can feel really good too! Enter the “interactive cat toy.” This just might be the answer to “fat cat syndrome” as well as cat boredom, cat behavior issues, cat health issues and so much more! While the average pet cat has an average of seven toys, a full 11 percent of pet cats have no toys at all! Sniff! Why are toys so important? Research now shows that the benefits of toys, and particularly interactive kitten toys and cat toys, extend far beyond just that of providing light entertainment or alleviating boredom. 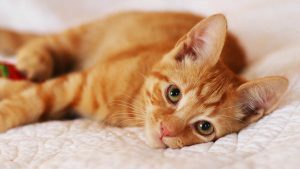 Today, professional veterinary associations state that offering toys is considered one of the “five pillars” of providing a healthy environment for a pet cat. Stimulate your cat’s natural instincts for hunting and exploring. Awaken all five senses: sight, smell, taste, touch, hearing. Offer the opportunity for interaction with other household cats and with YOU. Generate an interest and enthusiasm for physical activity, play and exercise. Bring out and enhance new aspects of your cat’s intelligence, agility, and creativity. Providing interactive cat toys for indoor cats can be particularly important, since outdoor cats do get some of the above benefits from their independent time outdoors. But all cats need and deserve the chance to enjoy interactive play to have the most enriching and healthiest life possible. 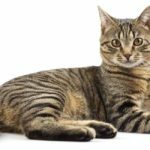 If your kitty is one of those breeds known to be particularly keen intellectually, the importance of offering interactive cat toys simply cannot be emphasized enough. 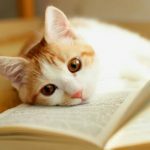 The Abyssinian, Siamese, Japanese bobtail, Korat, Sphinx, and Turkish Angora represent just a handful of the many feline breeds known to possess extraordinary intelligence and a keen appetite for any toy that stimulates that intelligence (for more on this topic, browse on over to this informative post!). But all cats have brains, and they need to use them to stay healthy! Ultimately, any toy that includes the word “interactive” suggests that you, your cat’s beloved owner, will take a starring role in its use. In fact, an interactive cat toy is a toy that is designed so that you can easily participate in play time with your cat. But that doesn’t mean that your cat cannot enjoy interactive cat toys when you are not available to play. Many of today’s sophisticated interactive cat toys feature timers, laser technology, treat foods like catnip or kibble and other means to engage your cat’s interest even when home alone. If your household includes more than one pet cat, your cats can also enjoy playing together with many of today’s innovative interactive cat toys. The goal of these toys is to engage your cat’s interest, and the best of the best do this very well! On that note, let’s dive into exploring some of the best interactive cat toys available today! Indoor cats can be particularly vulnerable to issues of weight or lack of muscle tone. After all, who doesn’t love to enjoy yet another restful nap? But in order for your kitty to have the most healthy and happy life, you have to get him up and moving, and these interactive cat toys for indoor cats can be a great addition to your cat toy stash to accomplish this mission! Petstages Tower of Tracks Cat Toy. With three levels of interactive spinning balls. Each one brightly colored with different patterns, this is the perfect interactive cat toy for multi-cat families. An economical and well-designed toy, it is a huge hit among cat owners who rate the toy highly. Bergan Turbo Scratcher Cat Toy. This super-famous and beloved cat toy features a round disc with scratching material in the center. Around the exterior is a small channel with a revolving ball. The manufacturer also sells replacements for the center material as it wears out, making this an economical and long-lasting interactive cat toy choice. Catit Design Senses Play Circuit. This interactive cat toy is yet another affordable, creative, and popular addition to your selection of interactive pet toys for your kitties. The original toy set features a track with a set of brightly colored balls, and you can purchase add-on tracks to change up the layout to keep this toy fresh and entertaining for your cat. Creaker 3 Way Collapsible Cat Tunnel with Ball. This is another popular toy that is great if you have a multi-cat household. The three-way tunnel is made of a soft and flexible crinkly material that is still quite durable. There is a soft ball hanging from one exit. As a bonus, this toy folds easily and compactly for travel or storage. The interactive laser pet toy is just one of those toys that all cat owners should keep on hand. Laser toys are so good for getting cats to exercise, since they can’t seem to resist investigating where that mysterious colorful dot is coming from! We think you and your feline baby will love these highly rated interactive laser cat toy options. PetSafe Bolt Interactive Laser Cat Toy. This uber-popular bolt interactive pet laser toy is so popular it is considered a staple pick for new cat owners in the interactive laser pet toy category. The toy comes with a one-year manufacturer warranty and six days per week of live customer support (chat, email, phone). It also features a 15-minute inactivity shut-off to save battery life. Ruri’s Cat Catch the Interactive LED Light Pointer Paw Style Cat Toy. This popular laser cat toy features several laser modes, including steady and blinking light. Ethical Contempo Bella Laser Cat Toy. This pretty little bird-shaped laser toy features a weighted base and a motion-activated switch that conserves battery life. The laser emits from just beneath the bird’s beak and the on/off switch is beneath the bird’s tail. The toy can be used alone, with multiple cats or with you and your cat together. ElitPet Tumbler Laser Interactive Cat Toys Balls. This popular spinning laser-assisted cat toy also has a small inside space. Where you can stash motivational treats or catnip to entice extra play. 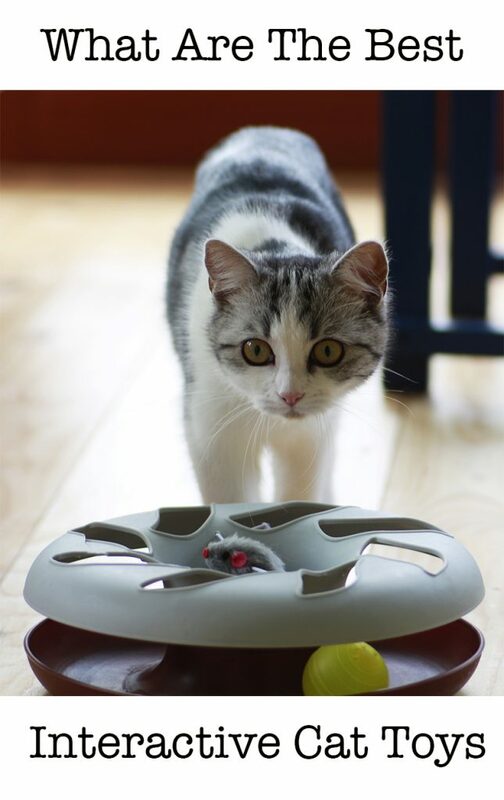 It spins, rotates, stops and shows a laser light, keeping your cat engaged and interested during playtime. The Petsafe cheese interactive peek a boo cat toy is truly in a category by itself. There is no other interactive cat toy on the market like it, and cats LOVE this toy! The toy itself is shaped like a block of Swiss cheese (which is where it gets its name). The block itself has rubber feet to keep it stationary. Inside the block are two cute yellow toy mice. During a play session, the mice will pop out of holes located on either side of the block. One of the best features of this cheese interactive peek a boo cat toy is the “Play While You Are Away” timer. Interactive cat toys with timers are a relatively new invention in the interactive cat toy market, and this one has hit a home run with both how it operates and the length of time it operates (on just three AAA batteries!). Once you activate the timer button, the toy will offer one session of play. Then it will shut off for 15 minutes to conserve battery life. The toy offers a total of three play sessions (45 minutes of play time) over a six-hour period, with shut-offs in between, making it a great toy choice for “home alone” felines. The manufacturer also offers live customer care support (chat, email or phone) six days a a week to ensure you and your pet cat are getting the best use from your cheese peek a boo cat toy. Kittens are not kittens for very long, which means that every day really counts in a kitten’s growing-up months. You want to entice your kitten to use all of her senses as she gains agility, speed, strength and smarts. These interactive kitten toys will encourage your kitten to develop in every essential area, but most of all in her smart and eager mind. You can play with her, encourage her to play with other household cats or turn her loose for solo play or – best of all – do all three! 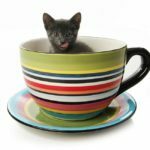 Adult cat toys are usually suitable for kittens, but here are some that might really appeal to your tiny cat. FroliCat Pounce Automatic Cat Teaser. Cat owners love this interactive toy for both kittens and cats. Designed to appeal to your kitten or cat’s predation instincts, this toy is also great for multi-cat play. For kittens in particular, its erratic twitching and movements stimulates a young kitten’s desire to pounce and play and develop great muscle strength, timing, control and coordination. Petstages 719 Purr Purring Cuddle Pillow for Cats. If your kitten is new to your household and is having trouble adapting to sleeping on her own, or if she is showing signs of separation anxiety when you leave home, this soft interactive purring cuddle pillow is just the toy to help her settle into her new space. The purr is activated by your kitten’s touch, and, once activated, it lasts two full minutes. You can also remove the interior mechanism to wash the pillow itself. 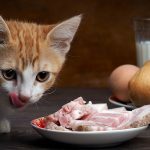 If you have both dogs and cats, you have likely noticed how very many interactive dog toys feature food rewards or treats….yet how few interactive cat toys feature the same. Why is this, you might wonder? We’re not sure either, to be honest, and there doesn’t seem to be a single definitive opinion on the topic in the cat lover community. But just as pet dogs can struggle with plumpness and laziness, so too can pet cats (especially indoor-only cats!) benefit from interactive food toys that make them work a little harder and burn a few more calories for their victuals. These are super-popular cat interactive food toys that we think you and your kitty will really enjoy! KONG Refillable Catnip Cat Toy. The KONG company has been a trusted name in dog toys for years, and they do not disappoint when it comes to interactive cat toys either. This refillable catnip cat toy comes in all kinds of shapes, from a soft and floppy squirrel to a bright green sea turtle to a fluffy little hedgehog and an adorable pink and grey mouse. Each toy has an interior pouch to hold the catnip. Cat Amazing Cat Treat Maze & Puzzle Box Game for Cats. This really cool and unique cat maze toy uses treats (both edible and crinkly) to inspire your cat to forage, hunt, search, find and retrieve. 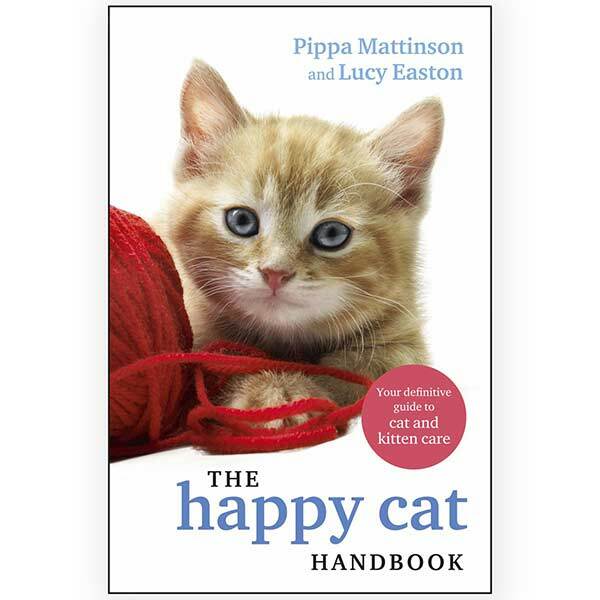 Veterinarians also recommend it for cats who need encouragement to eat more slowly. Both cat owners and cats rave about it. Hagen Catit Treat Ball. This neat and innovative cat treat ball comes in two colors, blue and pink. It is very economical and highly rated. You can use it for treats or as a slow feeder (or both). Your cat has to figure out how to move the ball to get the treats or the food out, which also provides lots of opportunity for movement and exercise, both mental and physical. We sure hope that you loved this curated selection of some of the best interactive cat toys out there today! But even more, we hope your fur baby loves them too, and we would love to hear which toys your kitty enjoys the most! Please feel welcome to share your experiences in the comments section here, and if your kitten or cat is head-over-heels for a toy that we haven’t mentioned, please drop us a line! Who knows, we just might feature your suggestion in an upcoming post! Todd, Z., PhD, “Most Owners Say Cats are Part of the Family,” Companion Animal Psychology, 2016. Coren, S., PhD, FASC, “The Truth about Cats and Dogs—by the Numbers,” Psychology Today, 2013. Sashin, D., “A Healthy Weight for Your Cat,” Pet MD, 2017. Environmental Needs Guidelines,” Journal of Feline Medicine and Surgery, 2013. Curtis, T.M., DVM, MS, Diplomate ACVB, “On Your Best Behavior: The 10 Commandments of Cat Management,” Today’s Veterinary Practice Journal, 2013.